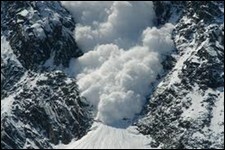 End times preparation is worth thinking about as the signs of the end multiply around us. Ultimately, it will come to the point of 100% reliance on God for all of our needs down to bread and water. But before that point, I believe, scripture indicates we can and should make some preparation - remember Noah and Joseph in Egypt. 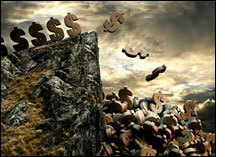 Is It "Anti-Faith" to Prepare for the Coming Economic Collapse? "Does being a prepper show a lack of faith in God? 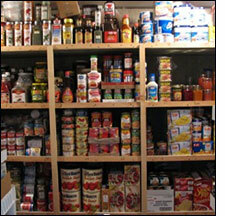 Should good Christians reject prepping altogether? Yesterday, someone actually accused me of being 'anti-faith' because I am encouraging people to prepare for the coming economic collapse. This person believes that if I had faith, then I would make 'no provision' for what is ahead and simply trust 'in God's providence alone'. So is that person right? 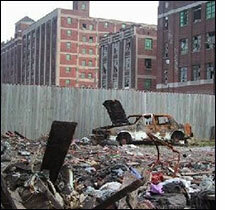 Is it really 'anti-faith' to prepare for the coming economic collapse? I spent quite a bit of time thinking about these questions today. "Those that visit my site on a regular basis know that I am a Christian and I am very open about that fact. I am someone that places a very high value on faith. "But faith is not about sitting on your couch and waiting for God to do everything for you. Rather, faith is about taking action on what God has directed you to do. "Faith almost always involves action. God wants to see if we are going to believe Him and do what He has instructed us to do. "In the end, Noah's prepping paid off. He and his family were saved, and everyone else drowned. "Unfortunately, there are lots of Christians out there today that are 100% against preparing for what is ahead, even though they will admit that an economic collapse is coming." Everything is Fine, But . . .
"Everything is going to be just great. Haven't you heard? The stock market is at an all-time high, Federal Reserve Chairman Ben Bernanke says that inflation is incredibly low, and the official unemployment rate has been steadily declining since early in Barack Obama's first term. Of course I am being facetious, but this is the kind of talk about the economy that you will hear if you tune in to the mainstream media. "They would have us believe that those running things know exactly what they are doing and that very bright days are ahead for America. And it would be wonderful if that was actually true. Unfortunately, as I made exceedingly clear yesterday, the U.S. economy has already been in continual decline for the past decade. Any honest person that looks at those numbers has to admit that our economy is not even close to where it used to be.But could it be possible that we are making a comeback? Could it be possible that Obama and Bernanke really do know what they are doing and that their decisions have put us on the path to prosperity? Could it be possible that everything is going to be just fine? "Sadly, what we are experiencing right now is a 'mini-hope bubble' that has been produced by an unprecedented debt binge by the federal government and by unprecedented money printing by the Federal Reserve. "Most Americans just let their televisions do their thinking for them, and right now their televisions are telling them that everything is going to be fine. "But is that really the case?" "Along with Rush Limbaugh and Sean Hannity, leading conservative radio host Mark Levin reaches tens of millions of listeners weekly, and what he talked about recently on his nationally syndicated show has sent shivers down the spines of many of them. "A few years ago this was fringe theory, restricted only to the sphere of alternative (conspiracy) news. "Warnings of a massive economic collapse, government stockpiling of weaponry, and the idea that Americans could be broadly classified as terrorists and then detained indefinitely or killed often fell upon deaf ears. "Today, as more information 'leaks' into the mainstream, it is no longer just conspiracy theory. We now have some of the most influential journalists and commentators in the country alerting Americans to the possibility that everything the government has been preparing for the last several years may soon be realized." "'The message of this initiative is for China to consider whether or not China would open up its banking system and allow the strongest currency in the world, which is the Chinese yuan, to be the rightful and anointed convertible currency of the world. '-Thailand Deputy Prime Minister Olarn Chaipravat in an interview with Bloomberg. "It should go without saying that China and Russia have designs to end the U.S. Dollar hegemony free ride. This is fundamental to understand and will be a game changer. The impacts on the standard of living of these players will be profound and especially negative for the U.S. How and in what manner this plays out is the question. I strongly believe that the answer lies in two parts: letting the U.S. put a noose around its own neck and then at the appropriate time, kicking the chair out from under it." "'Run for the Hills Now, I'm Doing It." "Immediately leading up to, and for months after, the 2008-09 Financial Crisis, not only Independent Commentators but also Main Stream Media commentators were Warning we were on the verge of Financial Collapse. And some quite reputable independent commentators still are issuing those Warnings. "Indeed, we are already seeing some of those Signals sound such a Warning. "Historians will certainly consider the 2008 crisis as a warning shot before that of 2013." "--2014, social impact: The economic deterioration causes unemployment to explode, in the United States the dollar's decline lowers the standard of living, riots mushroom everywhere;"
Iran has refused to stop its illicit nuclear program. "Iran is well launched on two programs with North Korean and Chinese help to develop nuclear weapons and missile delivery systems with the goal of having both ready in less than a year, according to an intelligence officer of the regime. "This collaboration, agreed to by North Korea and elements in the Chinese military, exported parts and new technology to Iran along with anti-missile batteries and surface-to-air batteries. "The agreement was signed by a 'Mr. K.Y-N' of North Korea and by a 'Maj. Gen. Z.C.' 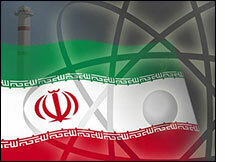 of China and witnessed by Iranian officials as investors in the project. "Phase 1: Completion of infrastructure for uranium enrichment facilities and equipment, production of parts and then the assembly for newer cascades to enrich uranium both in Iran and North Korea. "Phase 2: Transfer of Chinese plans, equipment, material and technology for forming, placing and making operational facilities to build uranium nuclear warheads, which was done through North Korea. "Phase 3: This phase, already well underway, would develop nuclear warheads and marry them up with missiles and, according to the source, is scheduled to be completed by January 2014 to coincide with the 35th anniversary of the Islamic Revolution and the Decade of Fajr." of the Messiah are around the corner. "I went to visit the Jewish Quarter in the Old City of Jerusalem to see how the preparations for the establishment of the new temple were getting on. For hundreds of Israelis, the task of renewing the temple has become the job of their lives. It is about time, so they believe, to establish the Third Temple in its proper place -- right on the site where the First Temple and the Second Temple were once standing before being destroyed. "Yehuda Glick is one of the 'elite soldiers of the temple' who dedicate their lives to the mission. Since moving to Israel, he has been preparing for the great day, waiting to see the construction of the edifice that is to become the holiest place on earth for the Jewish people. A black skullcap adorning his head, his Hebrew flavored by an Anglo-Saxon accent, Glick spends his time as a tourist guide, escorting visitors to the Temple Mount. "Hundreds of tourists, most of them Christians, were standing in line under the scorching sun, waiting for the security check that every visitor seeking entry to the Temple Mount is required to pass. Jews are not allowed to bring in scrolls of the Torah, prayer books, copies of the Book of Psalms or any other article of worship that could be used to establish a mystical association between the Temple Mount and the holy Jewish Scriptures. Under the current arrangements agreed on between Israel and the Kingdom of Jordan, Jews visiting the Temple Mount are banned from openly praying on the premises or swaying in worship. One single event of deviation from the set rules could be enough to spark an international incident." to the site "as part of a visit to Jerusalem." "Right-wing organizations devoted to the Temple Mount are buoyed by a new poll they commissioned finding that 30 percent of Israeli Jews support rebuilding the Jewish Temple on the site. "When the poll, commissioned by the Joint Forum of Temple Mount Organizations, asked Israeli Jews, 'Are you for or against erecting a Temple on the Temple Mount?' 30 percent answered in the affirmative, while 45 percent were against and 25 percent said they were not sure. . .
"The Temple Mount is Judaism's holiest and most important site. "The survey was released ahead of next week's Tisha B'Av Jewish day of mourning for the destruction of the First and Second Temples. "The last few years have seen changing attitudes to the Temple Mount among the national religious and ultra-Orthodox sectors." I would greatly encourage you to watch the following 15-minute video of some of the signs of the times in our environment within the last month. There are difficult years ahead and end-times preparation is certainly something we should be thinging about. End-times preparation takes many forms whether it is where you live or how to grow your own food or your physical health. Most importantly, of course, is your spiritual life. Are you prepared to meet your Maker? Are you eager to meet Him and dwell with Him forever? This world is soon to pass away. Please give this matter some attention.